I have been an athlete all my life and started endurance sports in 1998. I have raced sprint to Ironman triathlons and specialize in programs for beginners to experienced athletes that include recovery, motivation and experience expertise! I have been an athlete all my life starting with competitive swimming at age 6. I competed in my first triathlon in 1998, fell in love with the sport, and have been racing ever since. My coaching goals are to bring the joy of training, racing and competing to athletes of all levels, and helping them reach their triathlon goals – whatever they may be. 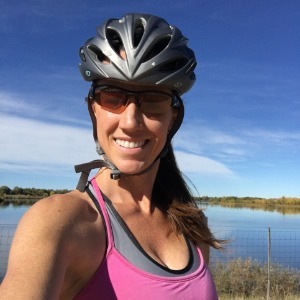 I have experience coaching beginner triathletes to finish their first triathlon with smiles on their faces, and can’t wait to help more people do the same! I am extremely passionate about the sport and life, and will bring structure and discipline to training as well as plenty of fun! I have over 20 years experience racing at all distances from sprint races to Ironman Texas in 2012 and I qualified and competed in 3 consecutive USAT Age Group National Championships and Team USA in 2013 and 2014. I was fortunate enough to represented the US at the World Championship Olympic distance race in London, England in 2013. I would love to talk with any athlete that is interested in being an active participant in their success! Success. Coach Lyndsi Bieging has been notified of your message.